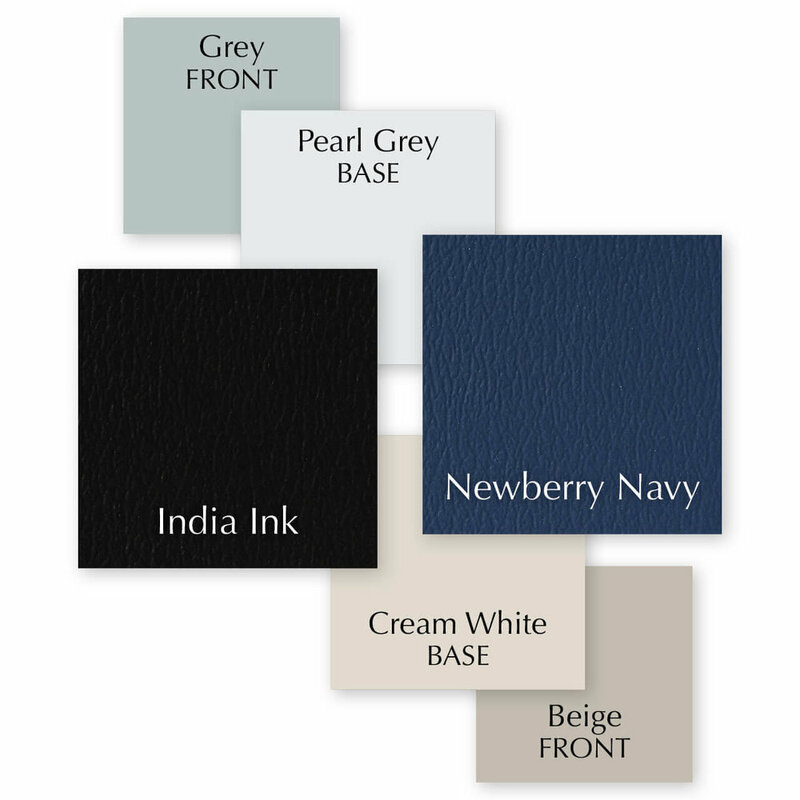 October 8, 2018 — This month at ENOCHS we’re adding 6 new colors to our examining room furniture line up: British Tan, Simply Taupe, Highland Sage, Sussex Green, India Ink, and Newberry Navy. 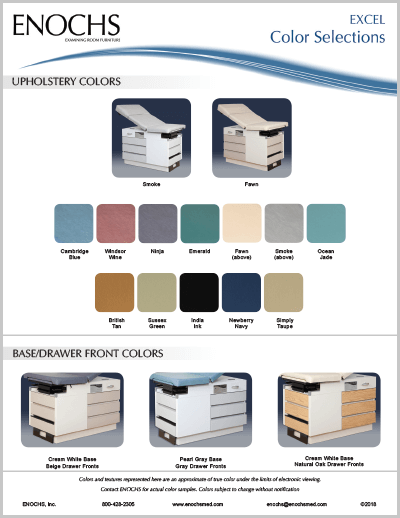 Mix and match the new colors with our two base color combinations — Cream White/Beige and Grey/Pearl Grey — to compliment warm tones or cool hues. These colors round out an already full array of color choices. 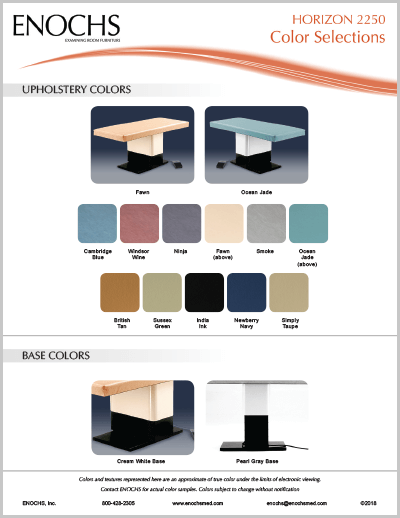 Over 24 standard color combinations available! 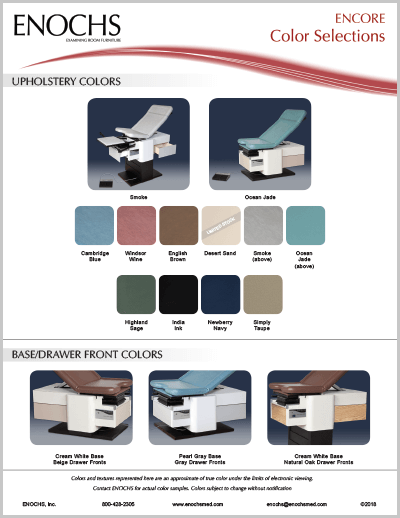 For assistance choosing colors or answers to any questions regarding our product lines, call ENOCHS customer service at 800-428-2305 or request an online quote.